Go4clients bases its functionality on campaigns. A campaign is a set of events (Calls, SMS, Landing pages, and many more) with the same characteristics that allows your organization to categorize your customers according to your needs and contact them evenly. You can find the interactions that your customers have with it in the “1-Way analytics” section. This API allows you to send a personalized SMS to a unique destination at the time no matter what programming language your organization uses since Go4clients APIs use standard REST services that are easily integrated with any application. You can use this API when you need to send a personalized SMS to a single destination. Although the API responds immediately, the Delivery receipt of each message is asynchronous (see Delivery Receipt of a Message). • Assign a campaign name to your petition. If you don’t specify one, the service creates a general campaign called “General 1-way Campaign”. • Put a sender (parameter “from”) into your petition only if you have acquired a shared or dedicated code. If the body’s petition omits this parameter, we will assume that the sender can be “Random”. 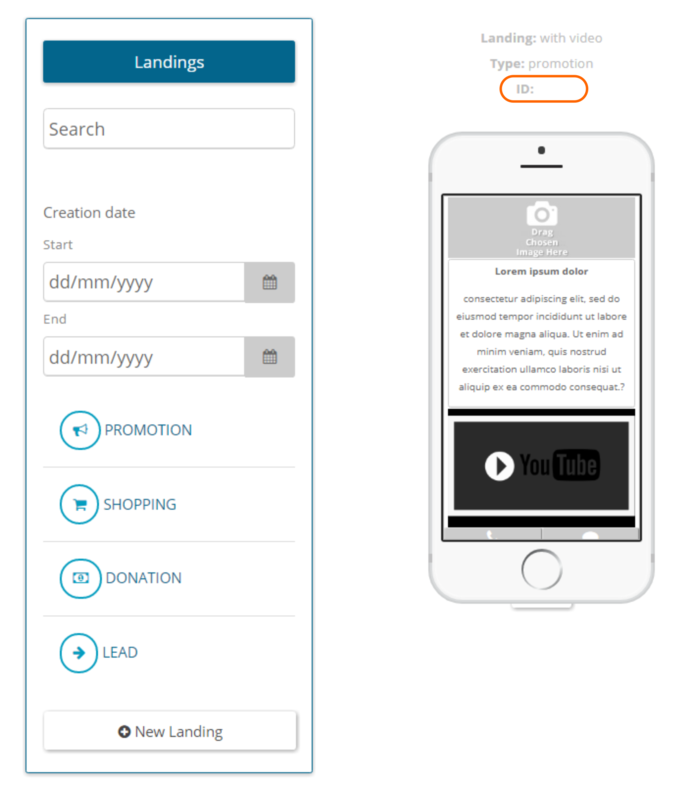 • Send an SMS with a Landing Page service included! The following HTTP request will create and add a SMS to the new SMS campaign “My first campaign” if it is the first SMS you send, the system will automatically create this campaign for you. This petition will send the “message” to the destination “to“. All requests require API Key and API Secret authentication credentials. The “apiKey” path parameter refers to the API key of your organization. You will also need to send the Apisecret as a header. Your Account Administrator can this information under “My Profile > Settings > API” section. Please be advised that the header also have to include a parameter “Content-Type” with value “application/json”. A number of origin of the SMS. It only works when the client has bought a code. Destination number of the message. Only receives numbers. Message content. Supports a maximum length of 160 characters. It is the ID of Landing Page which will be used into the SMS. The Landing Page have to belong to user/organization who wants to send a message, otherwise, the plat-form will give an error. The following HTTP request will create and add an SMS to the new SMS campaign “My first campaign with Landing Page” if it is the first SMS you send. This petition will send the “message” with a Landing Page to the destination “to“. You will need to go to the section “Create Landing Page” on the platform web. There you will find the Landing Pages and its IDs created by you. Below, you will find a success response example of the SMS service and parameters descriptions. Brief description of the result. Indicates if the service response is successful or not. Value debited for the sent message.